Combine the flexibility and governance of CloudBees Core with the scalability and automation of the DevOps SaaS Platform to enable DevOps transformation. Our DevOps SaaS Platform runs as a flexible enterprise SaaS model, meaning your DevOps Tool requirements are tailored to your needs on an ongoing basis 24/7. Your tools are up and running and maintained at all times, so you can focus your DevOps and application teams on work that truly matters to the business. Our Platform is powered by AWS. A true enterprise offering tailored to your security and hybrid environment needs. CloudBees Core provides robust security coverage to reduce risks associated with software delivery without compromising the agility. Enabled with cloud-native architecture, CloudBees Core delivers scalability and elasticity while legacy apps benefit by utilizing Kubernetes for CI/CD workloads. CloudBees Core is the one CI/CD solution for all your application environments, including Java, mainframe, or .NET. Delivers high elasticity, on-demand autoscale, and comprehensive health checks by identifying failing pods and spin up replacements. With CloudBees Core you can drive collaboration among teams, couch on best practices, offer a central CD as a Service across the organization and reduce the admin burden. Enjoy intuitive user experience, centralized management of masters and direct integrations with all major cloud service providers. CloudBees Starter Kit consists of CloudBees Core and CloudBees DevOptics. It combines flexible, governed continuous delivery with visibility and insights into value streams. Intended for new CloudBees customers, this package is budget-friendly and offers a low-risk, high value offering to realize continuous delivery and optimize software delivery from commit to production. CloudBees Core integrates seamlessly with Cloudbees DevOptics, giving you visibility and insights into your software delivery lifecycle with the enterprise-class scalability, tools, and governance needed to deliver valuable solutions. CloudBees Core takes Jenkins, one of the most popular open source automation server, and adds functionality necessary to scale continuous delivery across the organization, including knowledge sharing, rapid onboarding, easier admin management, and scalable architecture. As a Certified CloudBees Summit Partner and Managed Service Provider (MSP), iTMethods certified experts help companies to maximize Jenkins capabilities and deliver Enterprise-grade features by utilizing the power of CloudBees Core. In today’s fast-paced economy and complicated technological landscape, speed of innovation becomes a top priority. The Platform enables your application teams to innovate, automate and accelerate their software delivery. Built on years of transforming how companies deliver software, DevOps SaaS Platform provides automation and scaling abilities and is the fastest way to accelerate your digital transformation. Inability to respond to business demands and deliver software fast hurts companies' ability to compete. 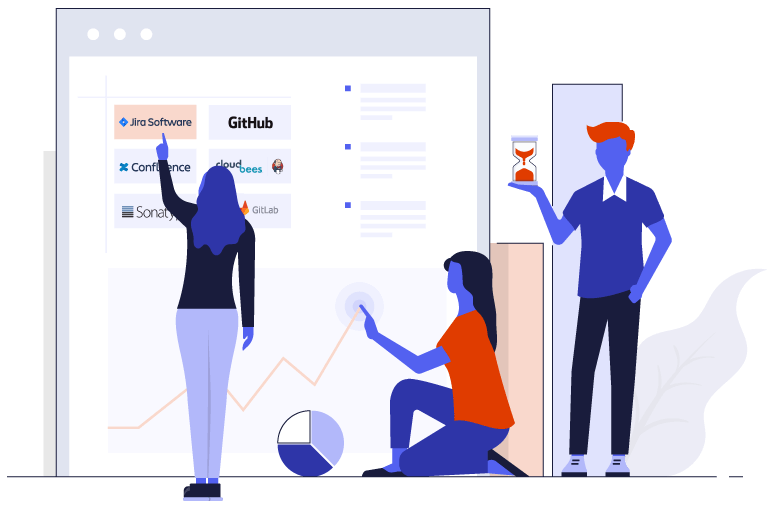 By running your tools on DevOps SaaS Platform, you leverage the triggers that have already been built by us, so you don't have to start from scratch. Get the maximum out of your tool investment. With DevOps SaaS Platform, not only your DevOps tools are always up and running, but is set up with the right workflows and optimal automation. Inefficient use of internal resources, associated infrastructure and SW licenses combined with unclear ROI can slow down company's growth. With DevOps SaaS Platform, you get the maximum value for your investment as a custom tailored solution to your needs. Choose existing or new tools for your toolchain. Support both open source and enterprise tool versions. Deployed in dedicated AWS VPC(s) in a region of choice. VPC(s) can be deployed within your AWS account(s). Our cloud-native platform is fully automated and enables optimized performance, availability & responsiveness. Maintenance, upgrades & security patches as per Vendor(s) best practices – all scheduled in advance. Seamless and secure connectivity between our Platform and your existing on-premises and cloud infrastructure. Low cost and automated AWS cross-region disaster recovery is available. Improved user experience. Simplified user provisioning and management. Architected for enterprise security, network, access, availability & encryption.